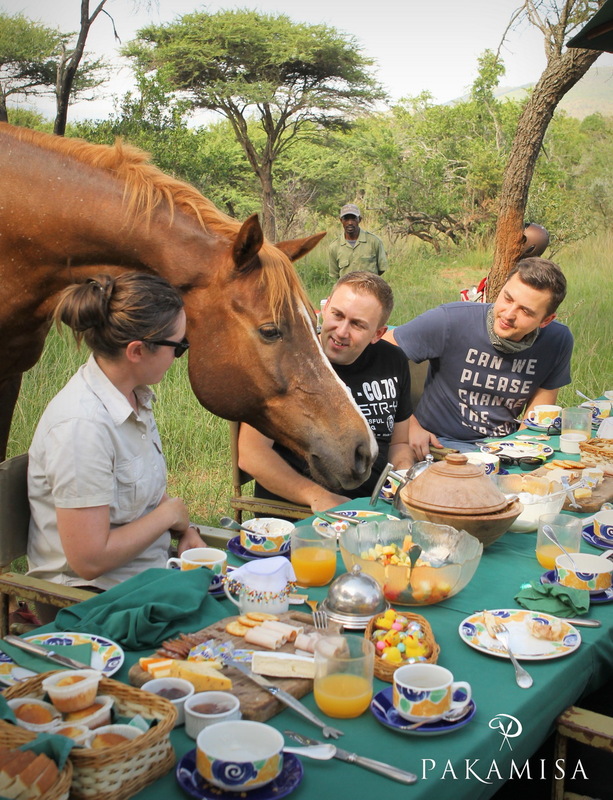 Pakamisa’s guests enjoyed a surprise bush breakfast on Easter Sunday morning! Mon Ami was quite interested in the human breakfast before he returned to grazing around the site. Riders arriving at the beautiful breakfast setting in the bush. 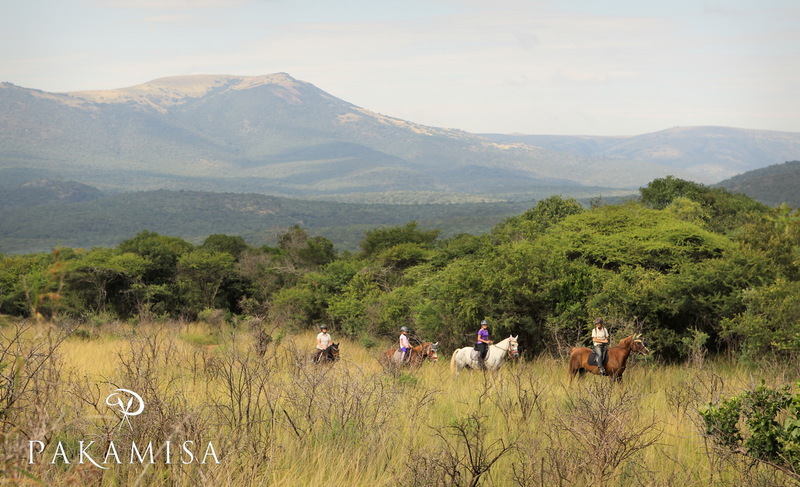 April is one of the best month for horseback safaris in Zululand.